Online booking systems have become an integral component of the travel industry, creating efficiency and reducing costs in terms of time and money spent booking business travel. In spite of its benefits, there are still many business travelers who are hesitant to use online booking programs. Working with an experienced business travel agency helps companies boost their online adoption rates, with solutions fitted to the company’s unique corporate culture and business travel needs. Employees and managers won’t adopt online travel booking platforms if they don’t understand how they work. Business travel agencies increase traveler confidence in using online programs through customized orientation materials and training sessions. In order to fit company needs, these training sessions can be held in person or online, educating both travel arrangers and business travelers. When travelers are familiar and comfortable with online booking tools and automated platforms, they can focus more on their work and less on the challenges of expense management. Travelers and travel arrangers could spend hours online, searching for the best deals on airlines, hotels, and car rentals, but business travel agencies have access to deals that you won’t see in a Google search. Online booking is simplified, because businesses know they’re getting exclusive rates, special promotions and incentives, and cost-saving alternatives. Support for the best online rates isn’t just limited to pre-departure planning. The rise of mobile technologies also allows managers to stay in communication with business travelers, influencing and recommending choices for traveler’s purchasing to stay in line with policy recommendations. Often, all a business traveler or traveler arranger needs in order to complete online travel booking is to get a question answered or receive further instructions on how to make a change in their reservation. Many business travel agencies charge an additional fee for support calls. 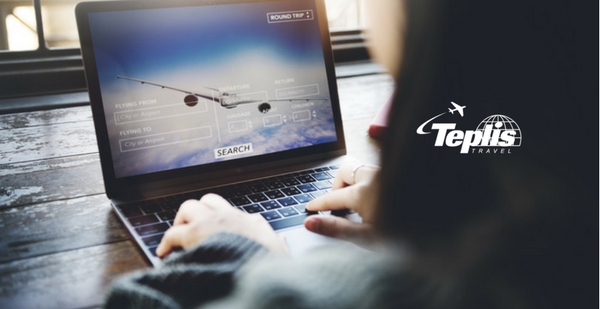 Teplis provides no-fee online support during normal business hours, supporting the traveler to complete the online reservation on their own. Online and mobile technology is a great way to stay connected and deliver information to empowered business travelers. Managers, travelers, and business travel agencies can work together to ensure successful business trips that stay within budget and increase traveler productivity. Teplis provides the best corporate travel services while working to protect your bottom line. Experience the Teplis difference for yourself — contact one of our travel experts or call 1-800-669-6547 today.